On November 16th, 28th, and December 11th, Alpenglow Sports will host three Community Avalanche Beacon Seminars and Practice Sessions. Join the North Lake Tahoe shop for a night of avalanche safety training in partnership with outdoor industry-leading brands, Mammut (on the 16th and 11th) and Black Diamond (on the 28th). Fun-filled, free and educational, these evenings will be held behind the shop in the Tahoe City Winter Sports Park. Each event will consist of an outdoor component that will cover both basic and multiple burial scenarios, as well as over-arching safety themes. During this hands-on practice, Alpenglow Sports will have a small fleet of beacons on hand for practice, and knowledgeable experts will be available to teach proper avalanche beacon usage. If you own your own beacon, we encourage you to bring it for practice. Please bring a headlamp, warm clothing and dress for winter conditions. This event will help attendees better understand avalanche beacon function and the recent technological advancements of these vital backcountry tools. The evening is free to attend and will last approximately two hours, starting at 5:00 PM. Model runs are showing a big change first week of November. We are still a ways out, but it’s nice to see the high breakdown and a decent system moving down our way. Stay tuned as we approach November and enjoy the amazing fall while we have it. 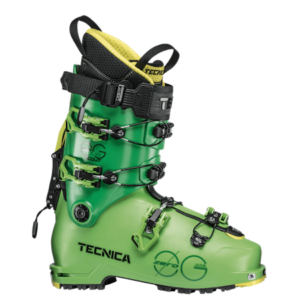 Killer boot for this season and beyond: Tecnica’s new Zero G lineup…. just 100-200 grams more than the next lightest/truly skiable touring boots, the Zero G line may give us what we’ve all been seeking, truly progressive Alpine drive in a very lightweight setup that is good for 1000s of daily vert. Looking forward to testing out the lineup w a full review once we get some snow started up in Tahoe. 2018-2019 season is underway in Colorado and Utah…. 18″ up high in the Rockies, turns being made, though a bit scratchy this time of year…. Tahoe is still waiting it’s turn… which may be awhile. We’ve had a few dustings over the last week, but model runs are showing clear and dry everywhere but Alaska for the next two weeks. So enjoy the mt. biking, backpacking, climbing, fishing etc. until winter hopefully returns come November…. Lots of questions regarding season forecasts, etc. It is always very difficult to say what will happen in Tahoe, esp. with weaker El Nino years, which we most likely will experience this year. Hit or miss, and the variable of ever-warmer temps really changes any sort of guess-work we may have used before. Things are changing, radically, and the rate and magnitude of those changes is very difficult to understand when looking from within. Predictability has always been difficult, and now wider swings will make it even more so…. Anyone interested in learning more about the long-term climate of the earth, what is happening now, and what might happen, I encourage to check out Doug Macdougall’s excellent book, Why Geology Matters. Given geoscientists abilities to date rocks and ice cores and analyze the chemical and mineral components of those layers/deposits, we gain an incredible understanding of what the earth has experienced before us, and what might come based on current events. It is an incredible, if not terrifying, look into where we stand relative to the last 4 billion years and the many changes our planet undergoes over even just 10,000s of thousands of years. we will most likely end up as the plastic layer with extremely high levels of CO2. 6 inches of very cold, dry powder today… dust on crust conditions. off piste will be highly variable given the long dry spell we have been enduring… enjoy this micro-burst. Snow remains in the forecast, perhaps another similar system on Thrs, and then another beginning of next week. The much awaited pattern change may occur at the end of the month. Temps will stay very cold throughout the week.